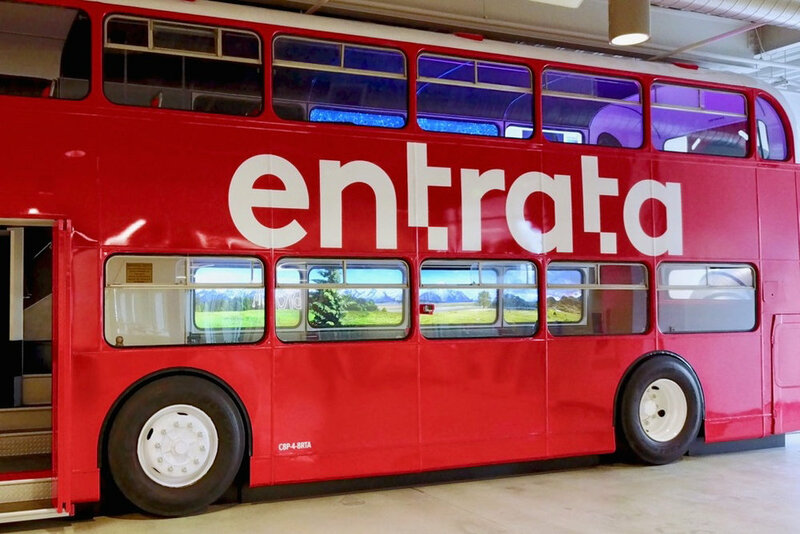 Entrata's ActiveFloor System is featured inside a renovated Double Decker Bus that has been transformed into an awesome collaborative work space for Entrata employees. Entrata's ActiveFloor System is featured inside a renovated Double Decker Bus that has been transformed into an awesome collaborative work space for Entrata employees. BrightLogic collaborated with Cre8play to install the ActiveFloor into the upper level of the bus. Along with an ActiveFloor System, this Bus features a ton of other creative goodies such as a backdoor slide, a custom bubble wall, a Playstation Console with wireless headsets, controllers and the latest games, and a swanky interior to settle into and get inspired!